Leather Belts | Tlusty & Co.
Once you wear a Tlusty & Co. leather belt you'll never go back to any other! Our customers understand the incredible difference between a belt made especially for them and one that is mass produced. Tlusty & Co. leather belts are crafted using 3.5 mm genuine Italian leather from the same tanneries used by the world's most expensive brands. 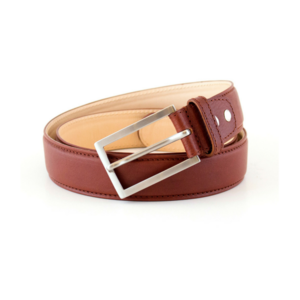 Handmade in our workshop, our belts are made either smooth or with stitching, in single or double-layered variations. Classic. 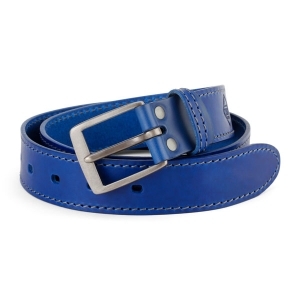 Great for jeans, this belt has a width of 3.8 cm and can be made using smooth, stitched or unique double stitched leather. Business Casual. 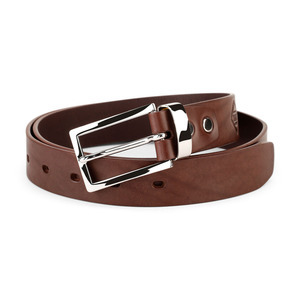 This versatile belt is 3.3 cm wide (to fit trouser also) and can be made using smooth, stitched or unique double stitched lined-leather. Business. 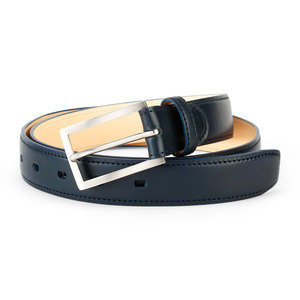 Made for suits, this belt is 3.3 cm wide and made with either straight cut edges or the more exquisite folded edges. 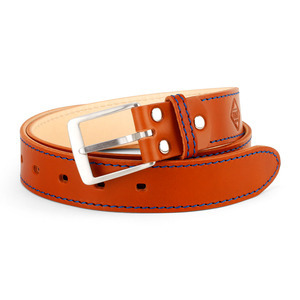 These belts are layered using up to four layers of leather and stitched using a more slender thread. 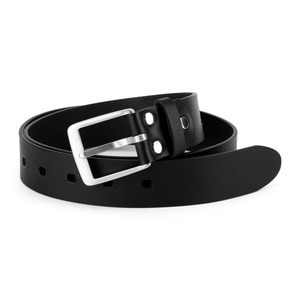 Women's belts. 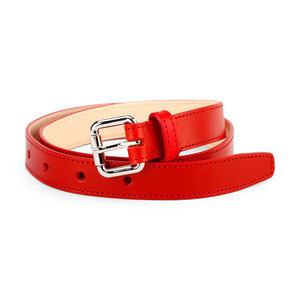 Fine belts for ladies' trousers, skirts, and outfits in a width of 2 cm or 2.5 cm. We'll make your Tlusty & Co. belt exactly as you want it - tailored in the colour, style, edges, stitching, and fittings that you wish! Only the best materials and construction practices are used with absolutely no shortcuts in production. 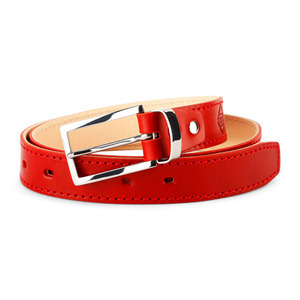 Would you like a belt to match an existing piece of clothing? Send an email to michal.palicka@romantlusty.cz and we'll help create the perfect match for you. All our belts are made to measure and can be made in any size you require. Tlusty & Co. leather belts are made to last! We are so sure of their quality that every belt is covered by our lifetime warranty. If anything ever happens, simply return your belt and we will repair it, as good as new. For a very special gift, let us emboss your belt with initials, letters, name, logo, or coat of arms for the recipient. Our embossing is made using a traditional Czechoslavak binder press (Stehlík) from 1947. As all our belts are made to order, it is important that you measure your waist carefully. 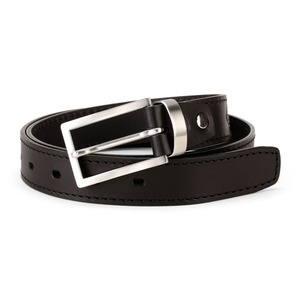 Unfortunately, we cannot accept returns of belts due to incorrect sizing.